The Three Minute Thesis is an annual competition held at universities worldwide. It challenges graduate students to explain their thesis in three minutes or less using one static slide. 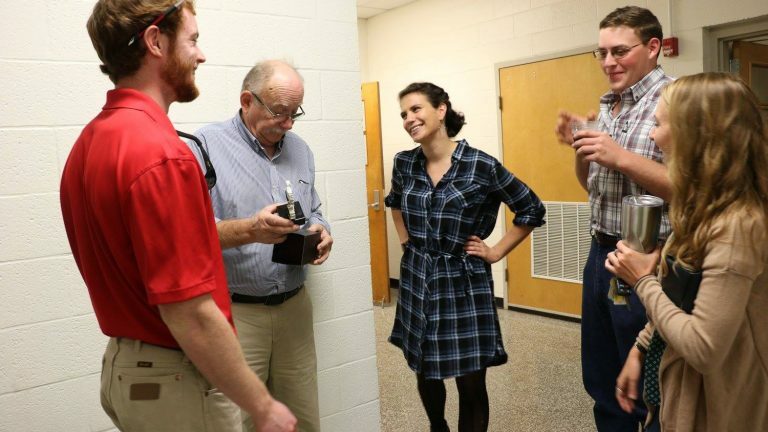 The Graduate School at NC State held its 3rd Annual Three Minute Thesis this year. But for the first time, BAE held its own version of the event. 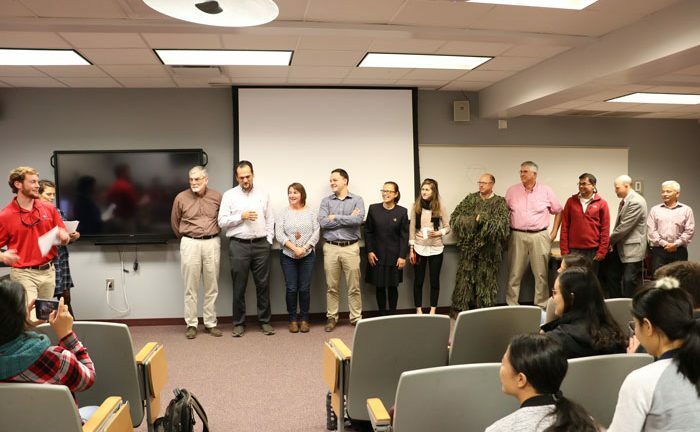 This time, faculty were placed on the hot seat and challenged to explain their research in three minutes or less. Voting to award first, second and third place was conducted by students and staff. After a rigourous morning of competition, votes were cast. Dr. Mike Boyette was voted first place. Dr. Praveen Kolar won second place as well as People’s Choice Award, and Dr. Mike Burchell was awarded third place. “Although it was a competition, I hope that participants and spectators were able to learn more about each other, and gain a stronger sense of connection with the BAE department,” notes Greeson. Watch the BAE Faculty Three Minute Thesis on the BAE Youtube channel at go.ncsu.edu/bae-youtube.